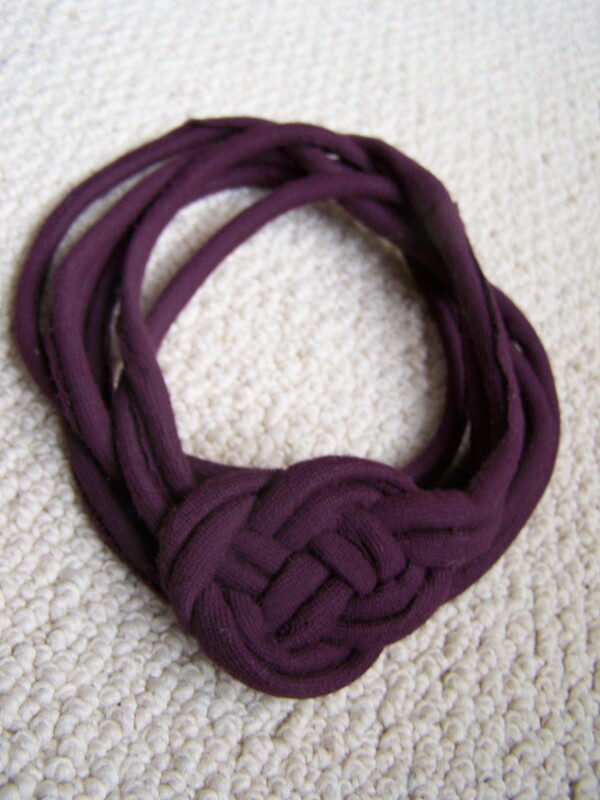 This headband and necklace is based on the classic double coin knot – a simple and elegant design. 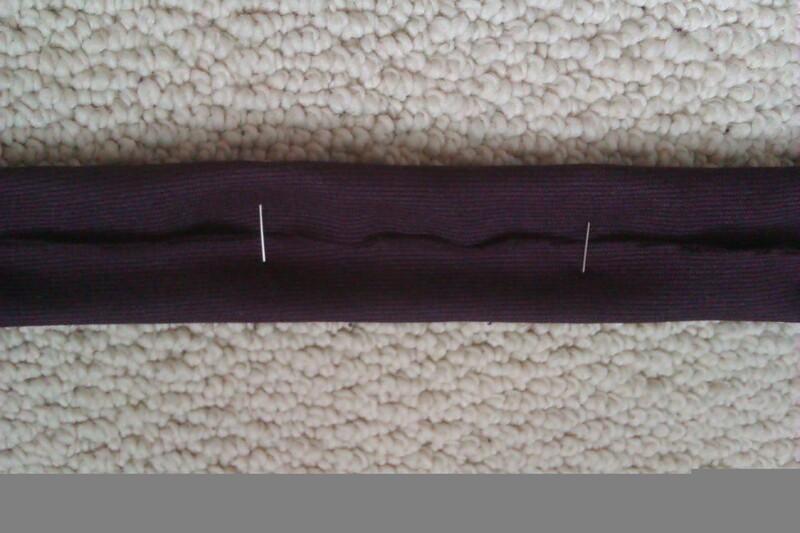 Cut two strips of fabric with dimensions 3 cm x 170 cm. 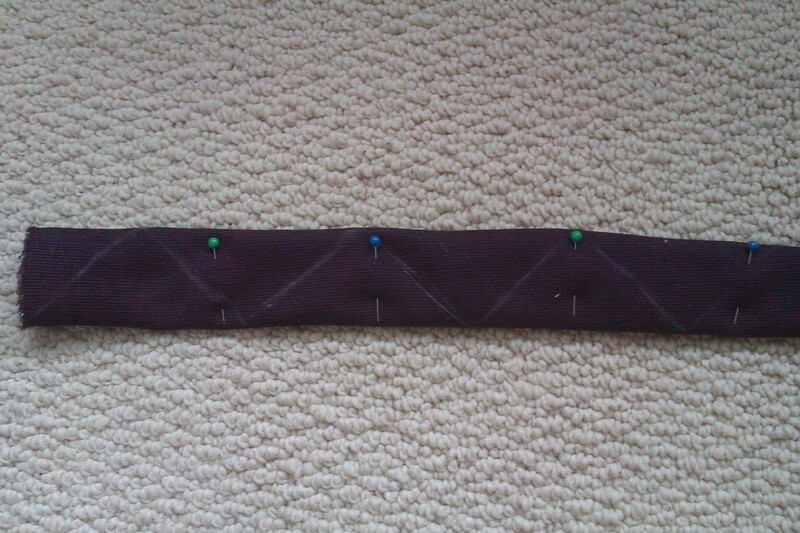 Shorter strips of fabric can be sewn together to make the 170 cm strip. 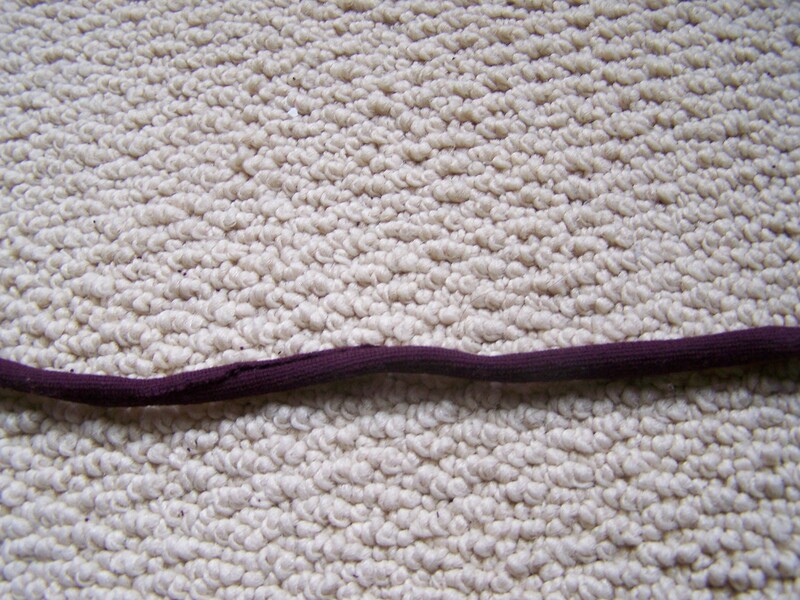 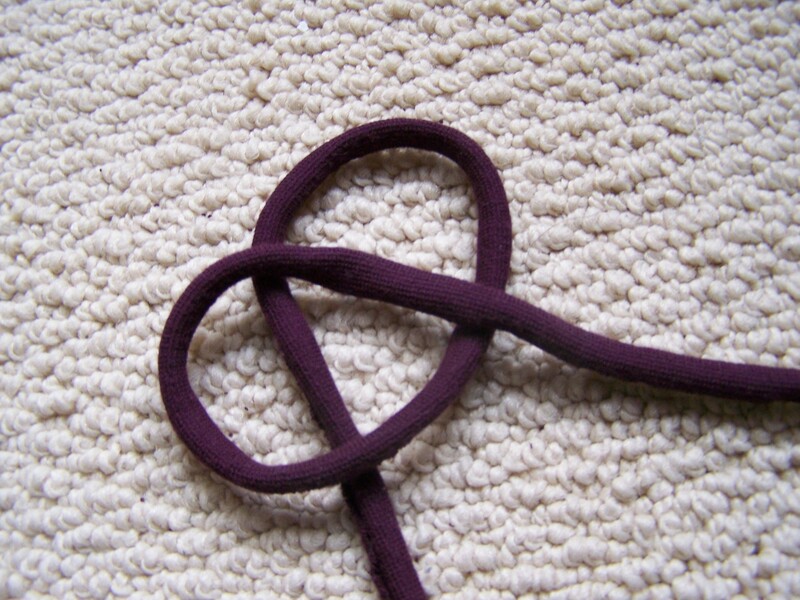 Pull the fabric strip lengthwise so that it curls naturally into a rope. 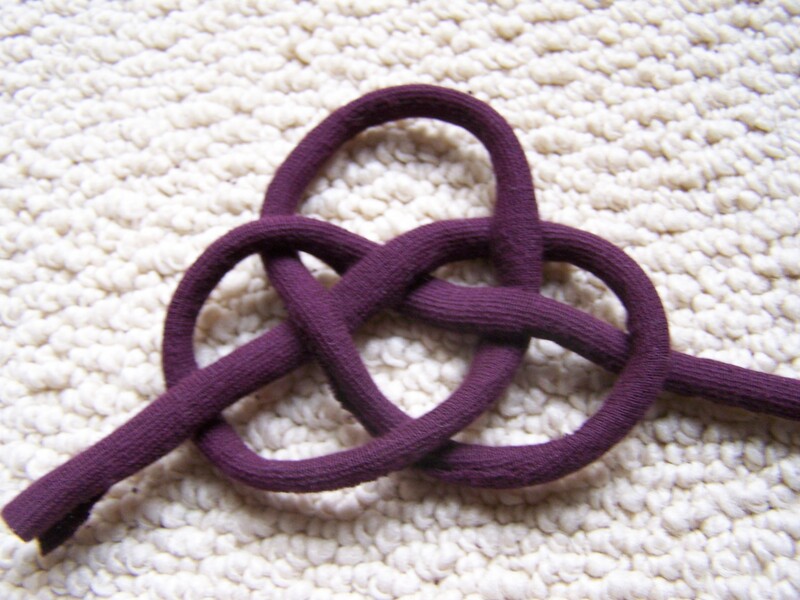 Using both fabric ropes, make the double coin knot (the diagrams above demonstrate how to make the knot using one fabric rope; but the principle is the same using two fabric ropes). 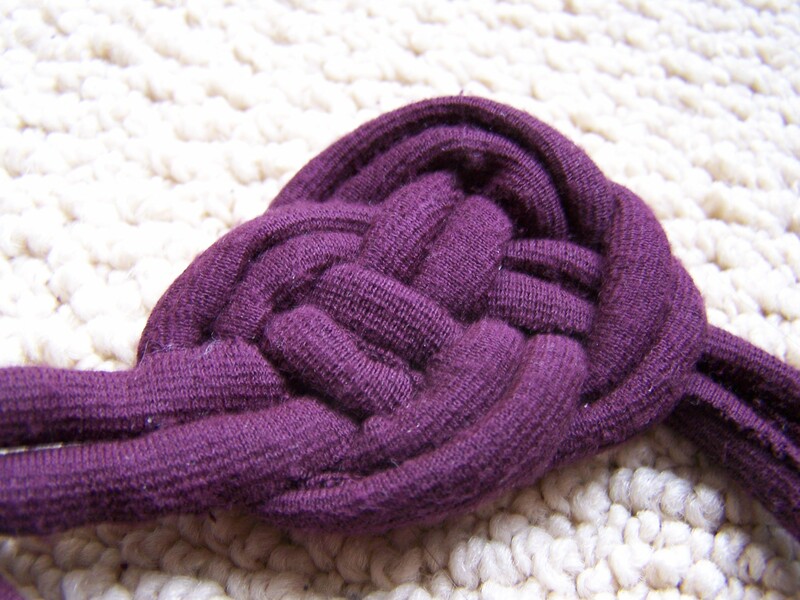 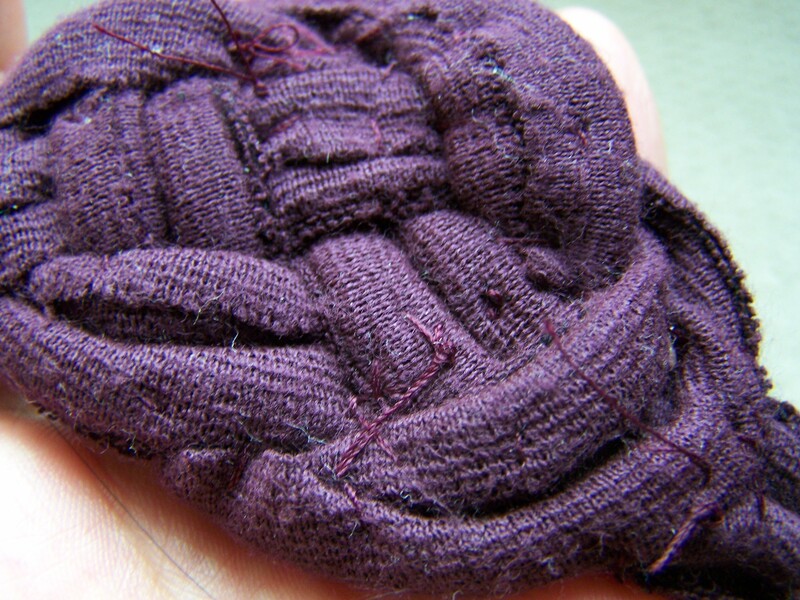 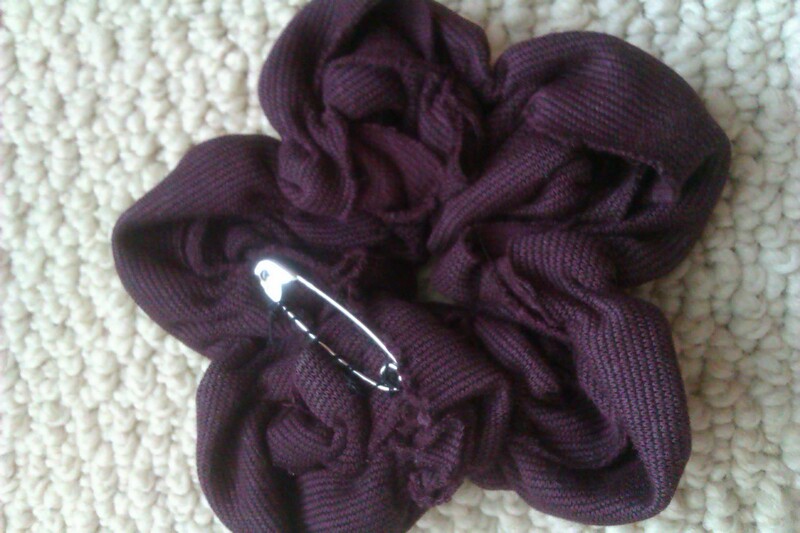 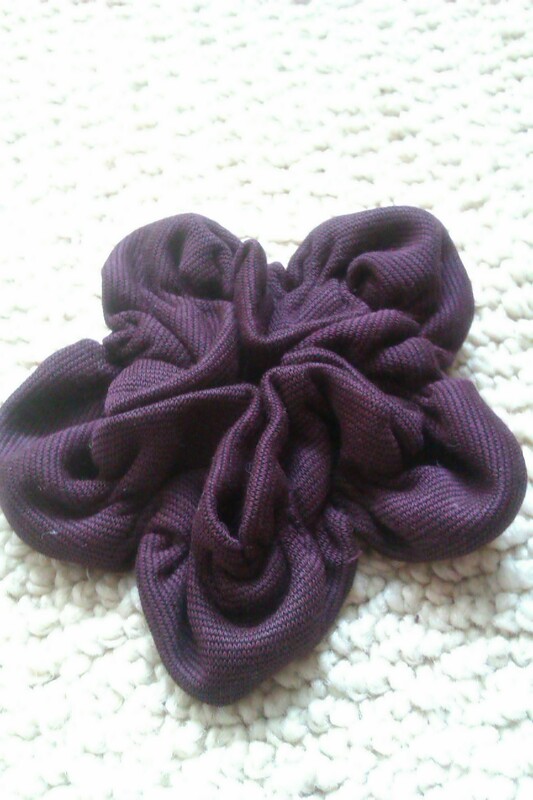 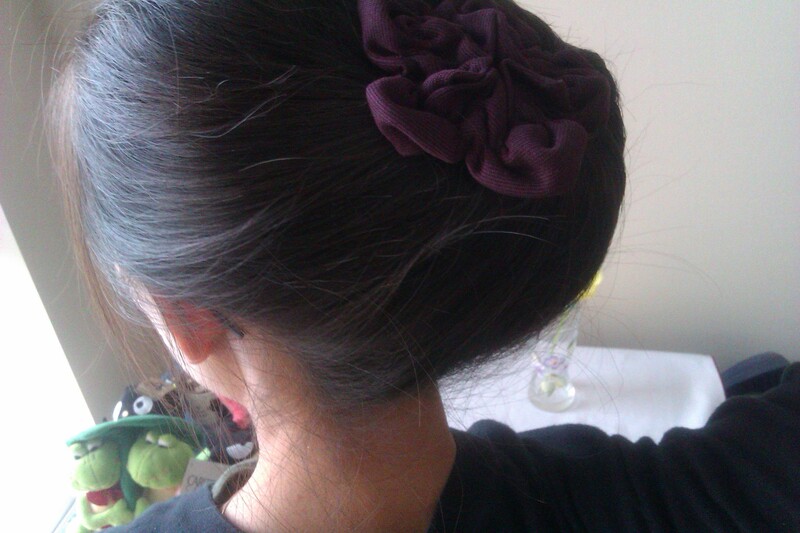 Adjust the double coin knot and sew the knot at the back to secure its position. 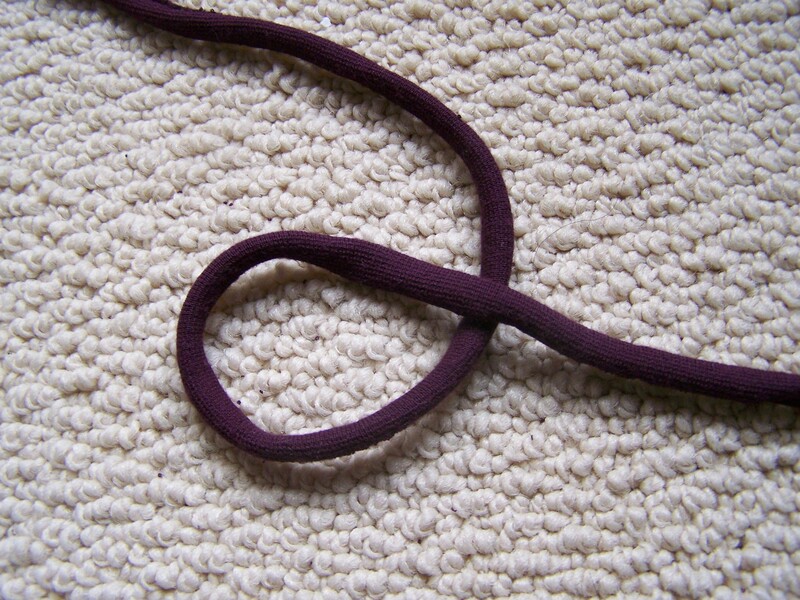 Sew the ends of the ropes together so that the fabric rope is continuous. 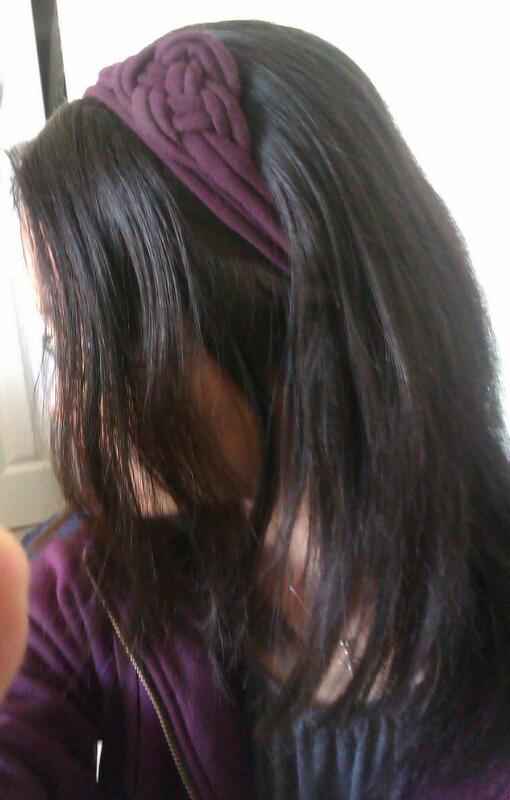 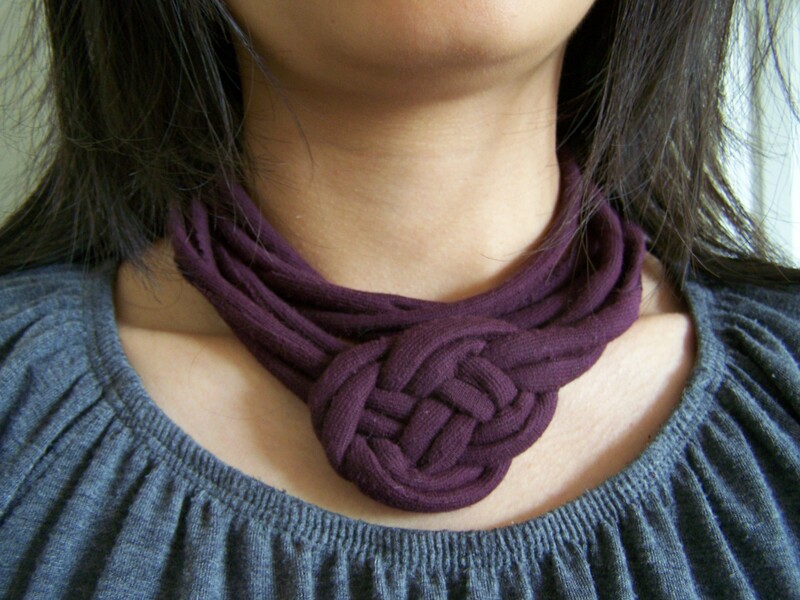 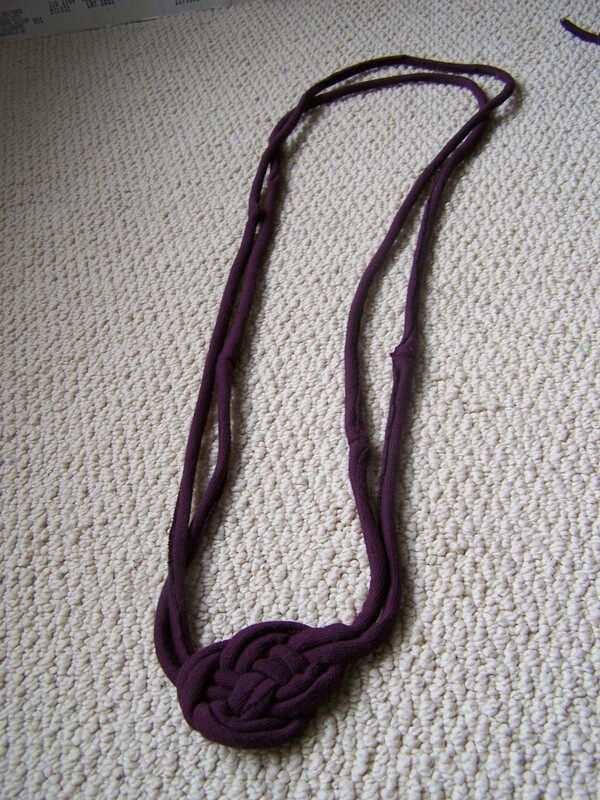 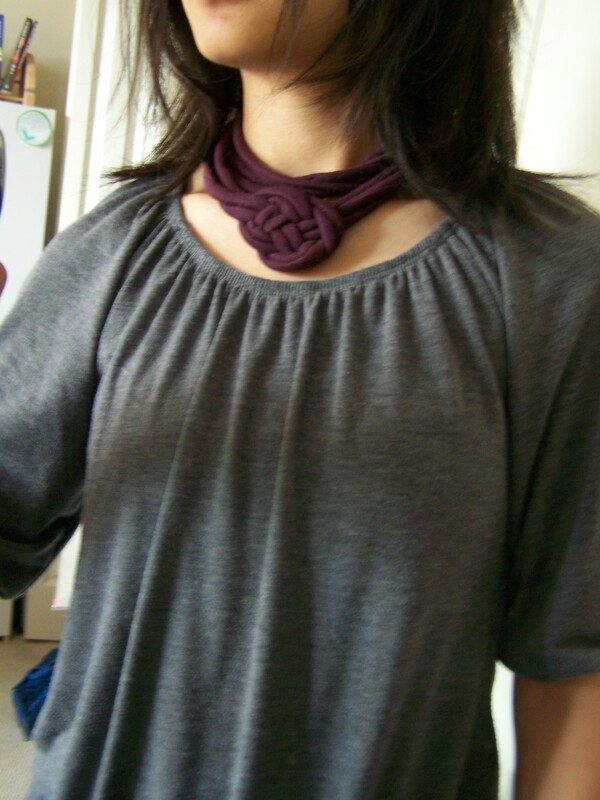 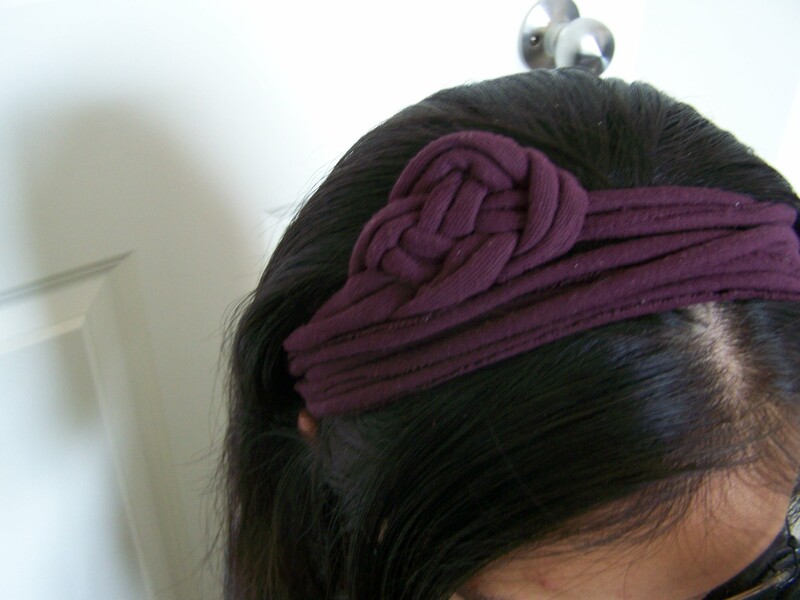 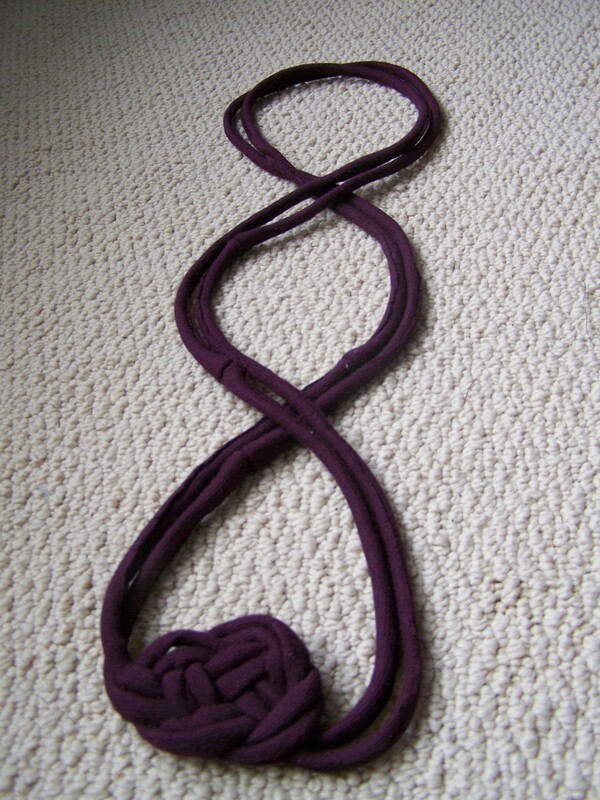 To wear the headband/ necklace, twist the fabric ropes into 3 loops. 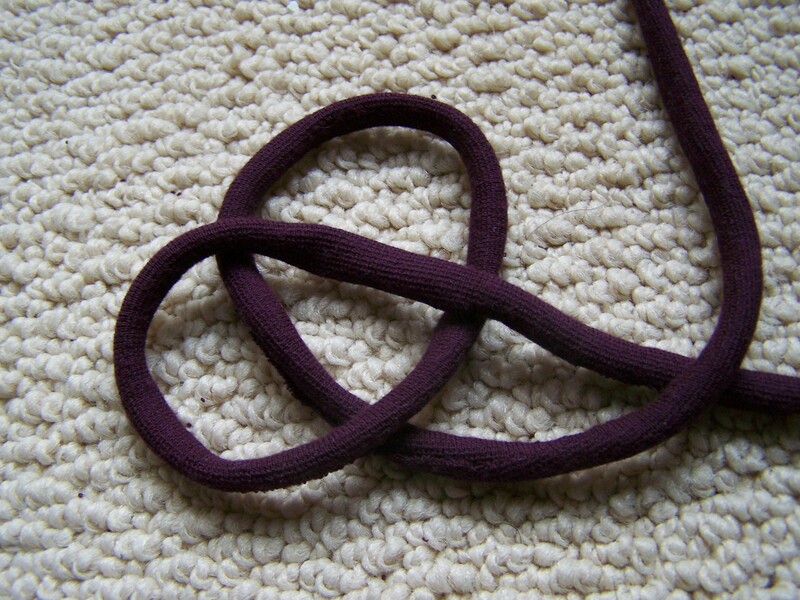 Then fold the side loops onto the middle loop.